Profess your love to your partner like never before! 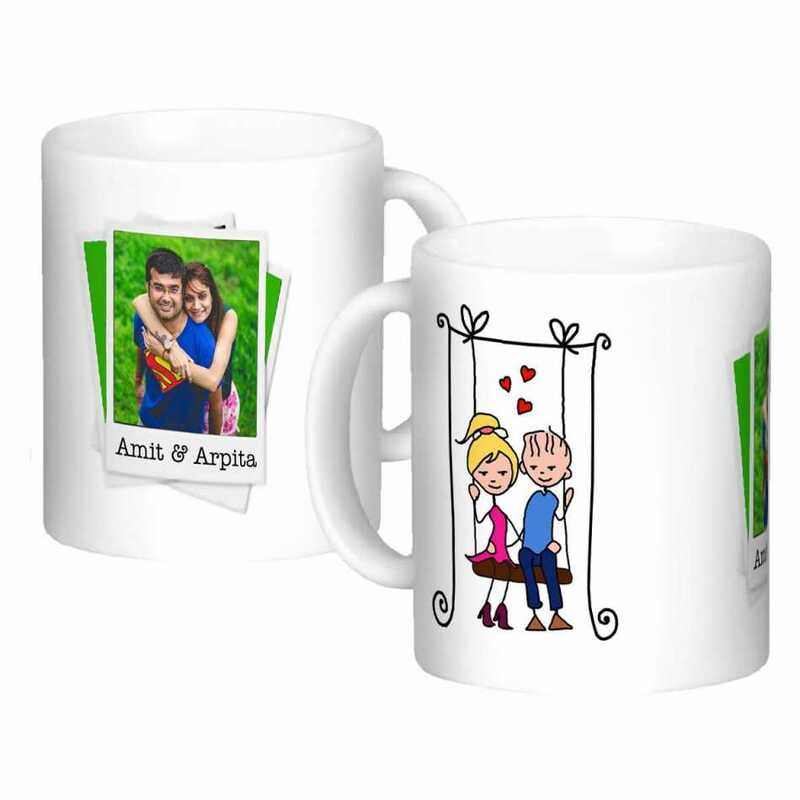 These custom designed coffee mugs are an excellent gift items which are sure going to impress your lady love with its hilarious motifs, superior quality and pretty images of the couple. These are white coffee mugs on which your photos and messages would be printed. The sample photos, or messages in the product photos, would be replaced by photos and messages provided by you, when you place the order.